Andy Van Dyke is Forest Operations Supervisor for J.M. 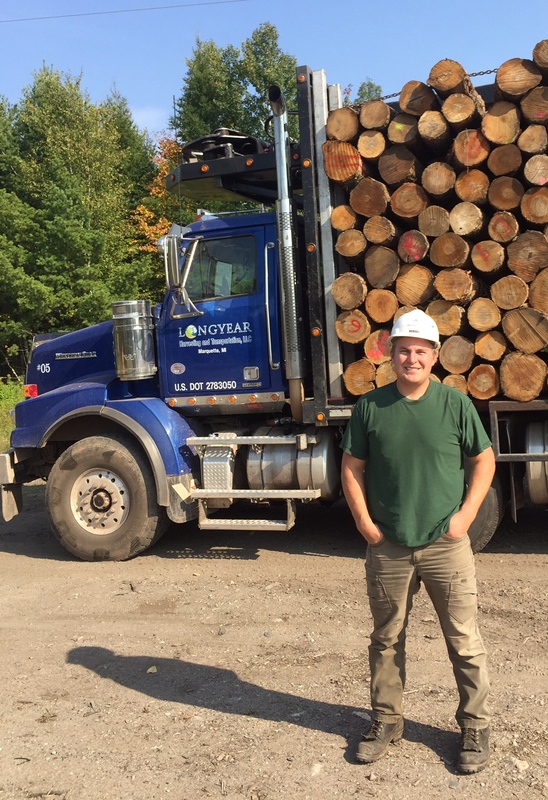 Longyear in Marquette, MI where he works as the Forest Operations Supervisor, leading and working with a team of seven foresters to manage both company and private lands for the company. Andy is also Chairman of the Michigan Society of American Foresters. On this week’s show, Andy discusses the subtle differences between working with an older generation and working with millennials. He also discusses some of the top qualities in what makes a great leader and how to develop yourself as a leader. [1:05] A quick intro about Andy’s background. [3:35] How did Andy first get started in forestry? [4:10] Although both Andy’s parents were foresters, they told Andy not to pursue the career at first because there were no jobs at the time! [5:35] What was Andy’s very first field forestry position like? [7:45] What has been the most fun or interesting thing Andy has done so far in his career? [9:00] What was it like making the transition from forester to forestry supervisor? [10:30] What advice did Andy wish he had received when he first became a supervisor? [11:35] What kinds of mentors has Andy had over the years? [15:00] What makes a good leader? Being positive! Sounds obvious but it can be hard to do while under stress. [18:25] What advice does Andy have for young professionals just getting started? [21:25] What can the profession do better to attract more young professionals into the field? [24:00] Andy likes working at SAF because he gets to learn from an older generation that tends to have a very different perspective from the Millennial generation. [25:45] What kinds of differences has Andy spotted when it comes to working with millennials? What makes them different compared to other generations? [27:55] Andy recommends everybody read the Boy Scout Handbook! [31:30] Tom’s Leadership Tip of the Week!